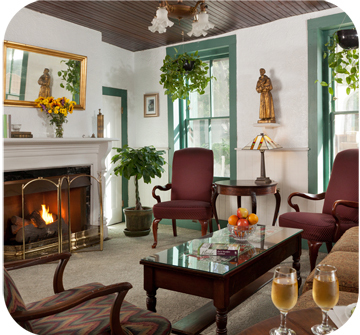 Old world charm permeates the The St Francis Inn, a historic bed and breakfast located in the nation's oldest city, St Augustine Florida. Each room and suite is distinctive, in its layout and individual decor. The walled courtyard garden is peaceful, private, and a favorite place to unwind. 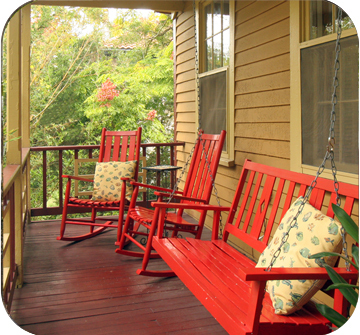 The B&B's gourmet full breakfasts are exceptional, and the private balconies, porches, temperature-controlled swimming pool, bicycles, and cozy living and dining rooms add to the ambiance. Dating back to 1791, the Inn's rooms and suites combine the atmosphere of yesteryear without skimping on modern comforts. All have private baths, antiques or reproduction furniture, central heat and air-conditioning, telephones, queen or king beds, and color cable TV. 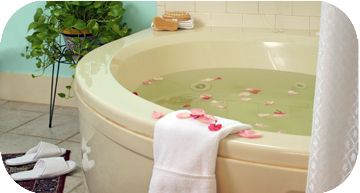 Several have fireplaces and spacious whirlpool tubs. Many rooms also have a refrigerator. Our suites have queen-sized sleeper sofas in the sitting rooms. The Cottage is ideal for a family or for two couples, with two bedrooms (queen and twin beds) and two baths. 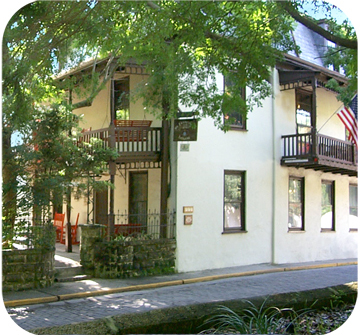 In a separate building near the Inn, The 1894 House, we feature two apartment-style suites of rooms, one on each floor. Located in the restored historic district of the nation's oldest city, this St Augustine Florida Bed and Breakfast Inn couples a romantic atmosphere with a wide array of free guest amenities. Your stay at St Francis Inn includes a gourmet buffet breakfast and specialty coffee drinks, evening social hour with complimentary beverages and tasty Inn-made treats, and nightly decadent homemade desserts. All day long we serve our special house blend coffees, iced tea, hot chocolate, and assorted teas. 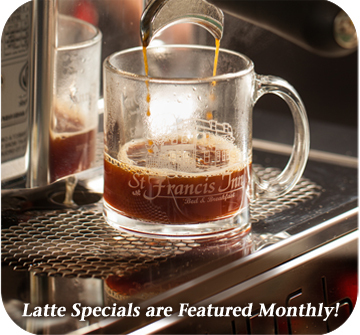 Specialty coffees, with a different flavor featured monthly, are individually made from 7:30am to noon. We love to celebrate the seasons, offering fun surprises like 12 Days of Christmas edible treats and Mimosas and Bloody Mary's during breakfast on holiday-stay mornings. The Inn is located in the heart of the oldest part of the city, but sits private and serene in its own quiet corner. Narrow brick paved streets surrounding the Inn providing central access to a wide variety of restaurants, museums, galleries, antique shops, historic sites and shopping experiences. Of course, the area offers fabulous seafood, with other unique tasting adventures such as a local chocolatier, a winery, and a distillery. Located on Florida's Atlantic coast, St Augustine is a rich cultural center, with special events, quality performances, fairs, and celebrations in and around the old city and its beaches. Guests of the Inn receive complimentary admission to the Saint Augustine Lighthouse and Museum, and 50% off admission to the nearby Oldest House - one of St Augustine's finest treasures of Florida history.